Paddling around a bend in the river, I finally catch a glimpse of prayer flags high on a cliff. 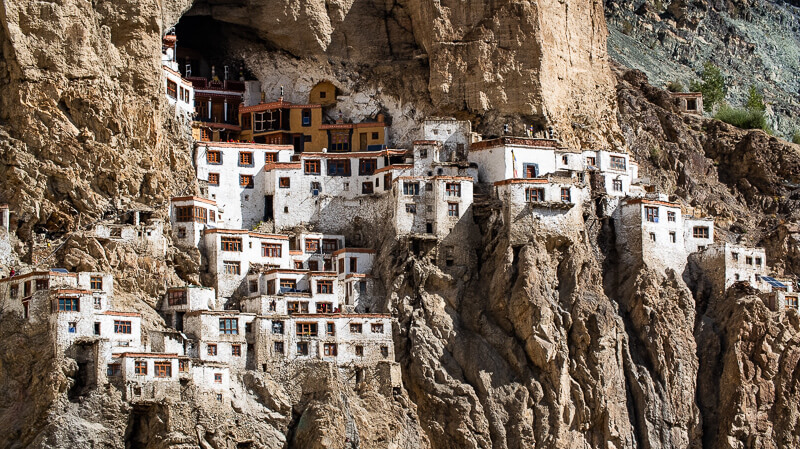 Climbing the steep trail to the monastery, I’m greeted by a handful of saffron-robed monks. We bow and exchange smiles from our mutually weathered faces. They are the first people I’ve seen for days and it feels natural to exchange only a few words, comfortable in our respective silences. As their evening chants begin, I stand peacefully alone watching dusk fall across the Tibetan plateau as a million stars wink into view. 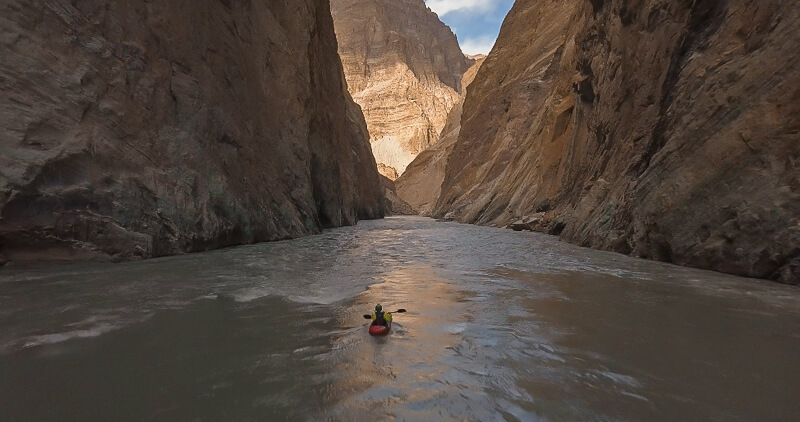 Growing up in Edinburgh, I remember dreaming about escaping my familiar world and traveling far away to kayak wild rivers flowing through remote landscapes. It was an improbable dream for a lad like me, but luckily I had the hubris of youth. When that improbable chance actually presented itself, I leaped without looking and let a river carry me off to what became a career exploring and guiding in the Himalayas. Forty years later and half a world away from life at No. 4 Wolseley Crescent, EH8-7DF, here I am…sitting in my tiny boat at the top of a huge red canyon on a wild river, flowing through a remote landscape. I’m no longer wet behind the ears and I cut my teeth decades ago with Mother Nature…but I realize my sense of wonder has only grown, as has my gratitude for the mystery of what life brings. They say the future is hidden for good reason and so we must learn to be comfortable with the unknown if we are to really live. I’m here now. Simply waiting for the sun to crest the rim of the Grand Canyon of the Himalaya before I drop once more beyond the horizon line, into things yet unknown and unseen. I would love to see this. Where can I get a copy? Hi John, we are filming The Eleventh Step through spring 2019 and expect to premiere it in late 2019/early 2020. If you haven’t had the chance to see The Tenth Step yet, you can find it on Vimeo On Demand. Thanks so much and we hope you stay with us on this journey! Can’t wait. Loved the Tenth Step.